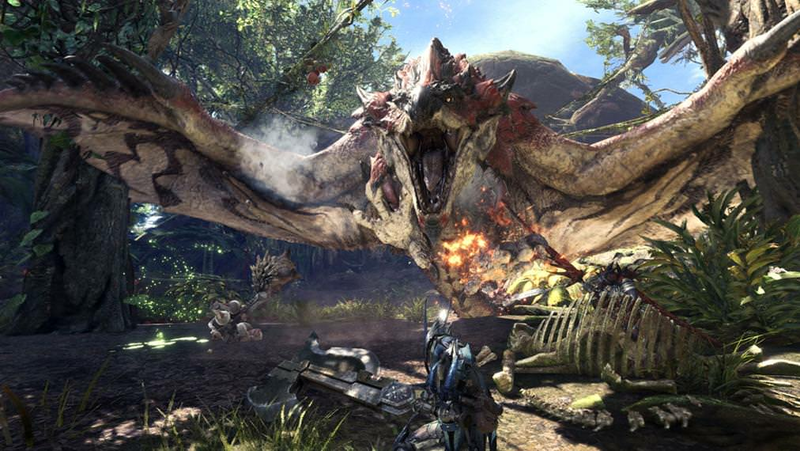 There are a variety of weapons at your disposal to take down even the biggest and baddest of monsters. Click the links below to learn more. Been interested in checking out the series for a long time, but not much into portable gaming and I heard the controls were clunky on portables. Think I'll be picking this one up. The core concept definitely speaks to me. I pre-ordered this last year during Target's B2G1 sale. Sadly that means I'll have to wait until Monday to start playing (stupid Target and their stupid not-release-day-delivery-shipping), but I'm definitely looking forward to this game! Picked up my copy today. Time to get into it this weekend! Anyone tried it on the X, Impressions ?? I'm amazed there are no XBOX One X vs PS4 Pro impressions out there yet. I'm holding off till I know which version to buy! Based on the BETA, the PS4's frame-rate was super unstable in any mode, so I'm hoping the XBOX One X solves this issue, or that at the very least the PS4 Pro version runs better than the BETA. If you don't already have a console and are interested in this game, Newegg (on eBay) has the PS4 Pro with Monster Hunter World and Titanfall 2 for $399. Seems like a pretty good deal considering the Pro almost never goes on sale itself and the fact that this game just came out today. Got mine installed and patched. Waiting on this shift to end now..
Gonna leave work and pick it up shortly for my XBO:X...though I'm not running 4k, so I'm only going to notice the steady framerate and if it's dipping below 1080p at all. I'd think that considering this is going to be released for PC in the near future, you'll already see them getting this working as well as can be expected for the PS4Pro, and excellent on the XBO:X.
I'm sure it's on the way. It's not really what you're looking for but there is this from earlier in the week. I'm not sure whether to jump into this, Horizon: Zero Dawn or Xenoblade Chronicles 2. I know they all have different combat systems, but anyone have any advice? I am only 2 hours in so far. Seems interesting. 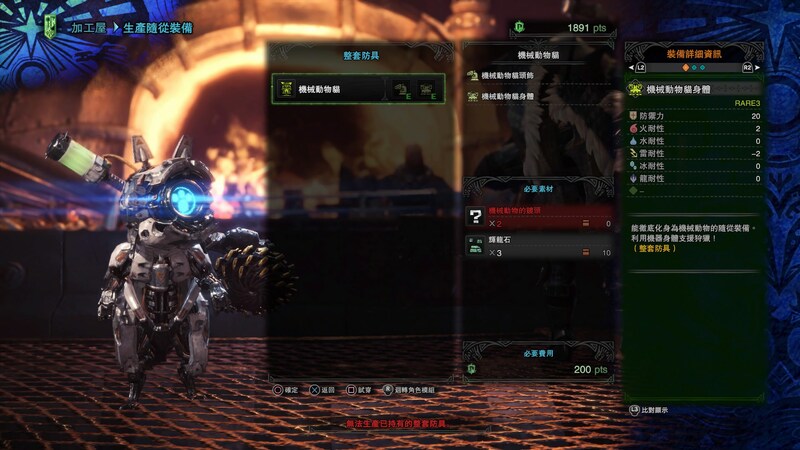 It is my first MH game. Is there a way to target an enemy and keep the camera locked on them? That's the only thing that has been bothering me so far. A few people ha w been posting this for a few days now. It’s not using the day one patch, so likely doesn’t have any real day one stuff. Why is the Xbox one look milky-screened? It actually looks better to me, jaggies, etc wise [specifically around the :35 sec mark], but this weird milky bland look makes me think improperly calibrated equipment here and that's really what's making it look so bad by comparison. Thanks for the OT, I am having such a blast with the game! Is the PC release hitting Steam? Great OT. 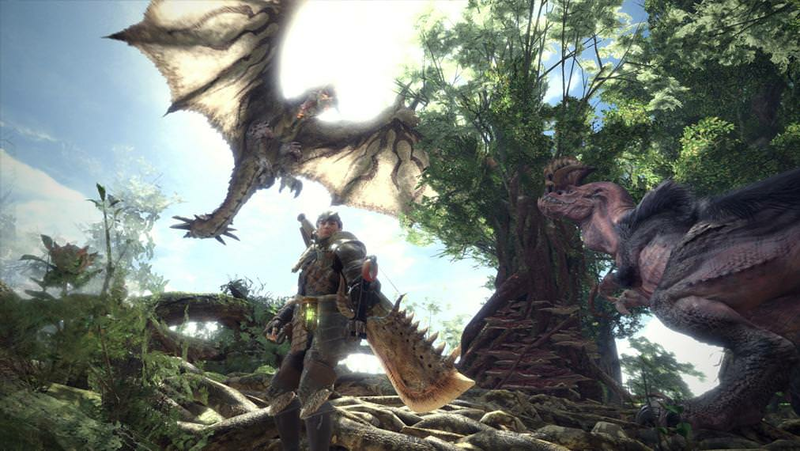 This is my first MH game and I am loving every minute of it. It took me a bit to get used to it but I didn't loose interest at any point. Now I am hooked. I was initially very excited about this game but due to my limited free time recently i was debating whether to get it on a later date or not. Then a friend of mine told me that he will buy it next week so now i'm excited again because i'd love to coop this game with a friend. My last MH was Tri (on Wii) so i'm looking forward to return to its world even though my Monster Hunting skills are a bit rusty atm. R3 for locking big monsters, for small ones, not much idea. I'm looking forward to the PC version, have been interested in the series for a while but most recent games were on platforms I didn't own at the time. Playing this now on my x and first impressions. Graphics are awful. As in it’s clearly not 4k, even in resolution mode, that’s for sure. In fact it for sure is lower res than the pro by a long way. Seriously bad LOD pop in everywhere, some spots worse than others. Also the game has this white glow over everything, like the contrast is fucked up? The game starts with a brightness and a colour slider. The brightness even on 0 is too high, and colour... does nothing. I have it on 10 and it looks the same. Their priority wasn't making graphics options for the X/Pro. Like any dev, they're going to make sure it's working smoothly on all the consoles first. Graphics isn't the only thing that makes the game, and they can patch support in later. The game has LOD pop up five feet in front of me. The initial climb of the first monster when you first start the game ran at sub 20fps. There is no decent configuration of options, the game actually looks bad. Not just bad, but bad as in hurts your eyes bad. It looks like it’s upscaling a low res image. I’m not sure what’s going on. This is the first and only Xbox one X patch that’s ever been this bad. I haven’t had a single problem with any others. If they can’t get it right out the gate, and make it look at least on par with the pro version... on hardware vastly more powerful... what do you think that says? Edit: also the game has really bad colour...? It’s like the entire world has a white fog all over it. It looks terrible? This isn’t exactly helping the game play nice, not wirh the low res blur, shimmering and LOD issues... you can say gameplay > graphics as much as you want but this here is... wrong. The game looks great. Your expectations about graphics are really overblown. It's pretty much like an MMO level of graphics, and it's pretty good looking for that. That's my expectation. Well, I dunno. Maybe Xbox has problems. I'm not playing the Xbox version, so I can't say for sure. Sadly that’s the problem I fear. If I artificially set my tv to be darker, it looks a lot better for sure. It’s like there’s this grey filter over the Xbox version? Another issue is that once anything gets more than a few feet away, it blurs. It makes faces and things look like LA Noire... that bad. I’m hoping this is just me expecting too much. But what I’ve seen of the pro version doesn’t have these issues...? Ahh this may explain it. HDR appears to be broke on the Xbox release at least, that’s whats giving it that overly bright washed out look. A lot of people are suggesting to turn off HDR on the Xbox or tv and trying again. But the colour slider appears broke in both releases and does nothing lol? Edit: yeah just tried it. Turned off HDR on the Xbox and loaded back in. For one, you can’t switch to frame rate/graphics mode from resolution, without restarting the game. As in quit the whole thing and start over, and not just quit game. As for HDR, yeah... turn it off and you get an old school slider. Turn that down and boom, game looks normal. Edit 2: oddly even my frame rate has increased, now that I set it to resolution mode and no hdr... how odd. Much better. 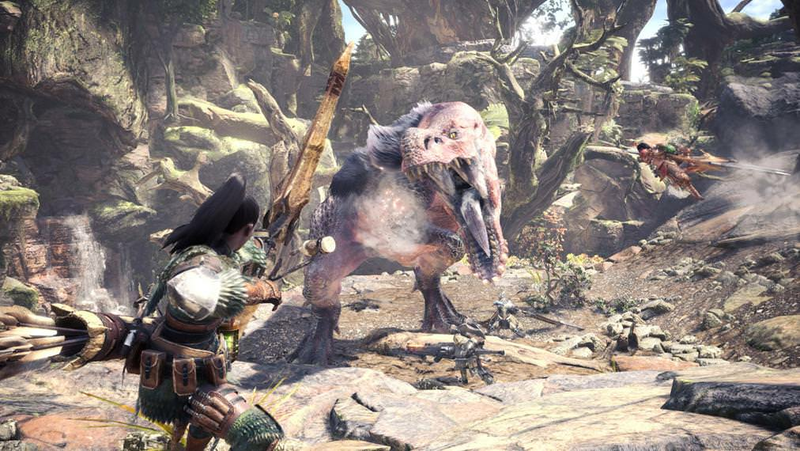 I don't know what everyone was worried about, this is the regular MH with all the fun and annoying bits. But now I don't need to kill my eyes looking into a crap DS screen. Moderator battling in the shade. Wow, that sounds awful! Thank you for this heads up, this confirms to go to PS4 Pro for me, as I have both. Ok now I'm back on the fence, lol! The one thing that’s annoying me is the way the story missions are handled. You can’t group up until you’ve spent 5 minutes wandering and having npcs talk. Then once a monster pops up and is attacking you, only then can you group up. But who is standing there getting hit and fumbling with the menu to invite their buddy? And if you’re both playing the same mission does it count as complete for both? Just really strange design. It’s worth noting that as some people have said this game is not a looker and shouldn’t be judged by that. But it’s certainly not awful, and not 360 level like some have oddly said. But doing the above made it much better. Xbox 1 X vs PS4 Pro graphics comparison on IGN now, on my phone app so I can’t link easily if someone else can. 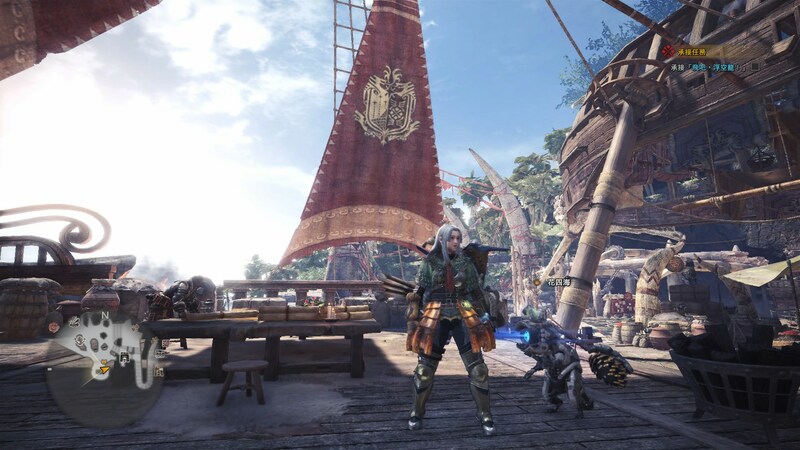 So...this is my first MonHun game, playing Bow, and I’m finding it frustrating how long hunts are. The Pukei Pukei alone took me like 20 minutes despite twice upgraded bow and attack+ meal. Coming from all five Souls game platinums, I’m also finding the constant need to sheathe weapons to run and heal pretty stupid. Plays well otherwise, but jesus...these hunts are going to go forever aren’t they? With the bow there is a range sweet spot that u need to memorise to maximise the damage u can deal. Make sure u are using ur coatings, check out what kinda coats ur bow can use in the equipment menu. Finally use dragon piercer whenever u can. With practice u can easily halve ur quest time! The game looks much nicer having done that. Same on the X and the S; it looks washed out unless one configure the gamma and brightness to your liking. I am a first time MH player and I'm really enjoying the game; between this and the SOT Beta (which is amazing), my weekend is going to be fun. I had to do that also so it didn't look washed out. Anyone looking to team up? I'm doing solo stuff tonight, but tomorrow. So ive been playing lst night and im a bit confused in the unlocking of online quests. You need to do story missions to unlock multiplayer quests ? If I’m not mistaken, I believe it goes by your overall hunter rank. 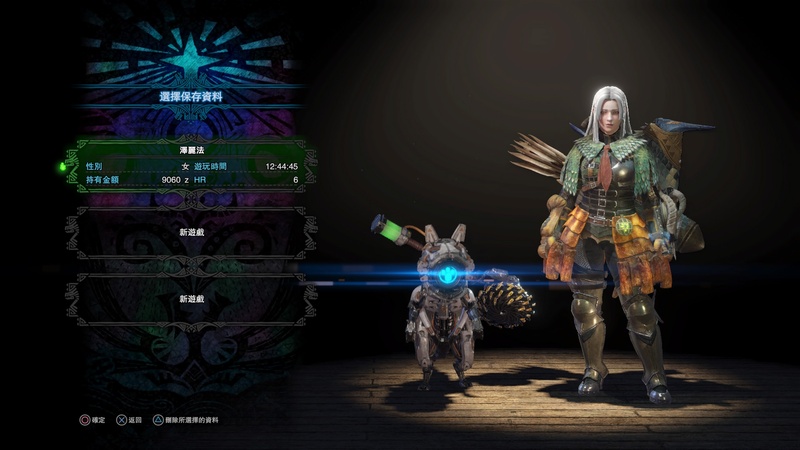 The online event quests have a hunter rank requirement, essentially all quests can be played online. Will the game have a day 1 patch? I’m trying to look for a disc just to save bandwidth. Did anyone have trouble trying to hunt down the Lagiana? Got my ps4 exclusive horizon cat cos!!!! Super awesome!!!!!!!!!!!!!!!! indeed!!! exploring the whole maps and collecting is also fun!